For quite some time now, almost all big vendors started offering fully capable hybrids with touchscreen and since then, they have come a long way. The new Inspiron 7548 from Dell is the living proof for that. It has a sleek, thin, aluminum design with some decent hardware including the new Broadwell CPU – Core i7-5500U. The only thing missing for given the price tag is the absence of an SSD or maybe at least m.2 SATA slot. However, we ran the usual test for checking the battery performance, GPU and CPU performance. It also features super detailed UHD screen with a resolution of 3840 x 2160 pixels, that for surely will drain a lot of battery, so it would be interesting to see how the battery handles those extra power hungry pixels and discrete GPU from AMD. The retail package isn’t very different from the usual ones we come across. It has the AC charger inside, several user manuals, but no DVD with drivers, since the machine comes with pre-installed Windows 8.1 along with other pre-installed software, but more on that later in the “Software” section. 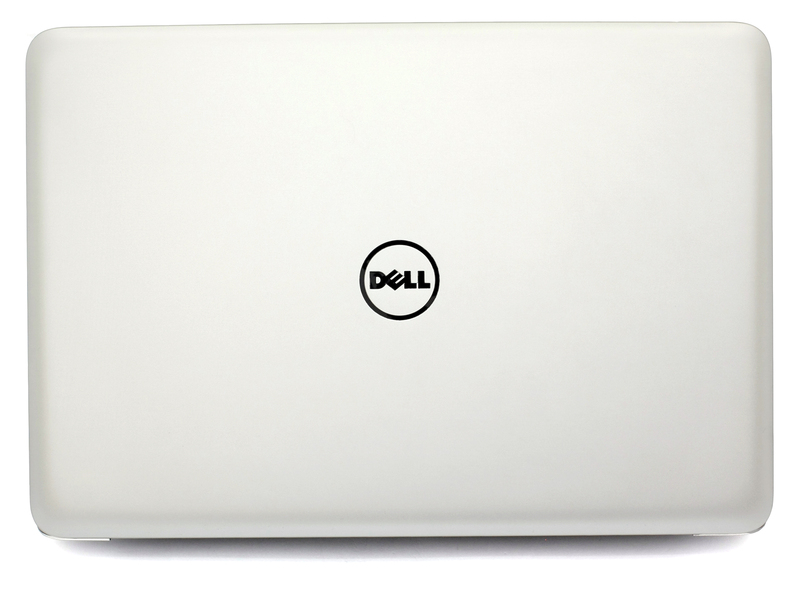 Dell’s Inspiron 7548 has a sleek and elegant design with pretty thin profile (19.9 mm or 0.78″ at the thickest point). However, the weight is not exactly low – 2.2 kg. This weight is just around the usual budget notebooks like the Lenovo Y50 or Acer Aspire V15 Nitro Black Edition and they both offer a pretty impressive hardware. But, of course, let’s give credit to the engineers at Dell, who managed to cram inside a touch 4K panel with a discrete GPU and semi-aluminum design of the chassis. Let’s begin with the top surface of the lid. As we said earlier, the lid is made out of anodized aluminum with metallic color. The only different thing you will notice is the carved Dell logo in the middle, which is made of glossy black plastic. On the other side of the lid, we are presented with the UHD screen measuring at 15.6″ diagonal along with the built-in webcam and microphone. Moving on to the bottom of the notebook, which is made of polycarbonate that strongly imitates anodized aluminum. The material used really got us confused and for a long time we thought it was actually aluminum, but when we removed it, the bottom piece bended a lot – something you wouldn’t expect from aluminum. There are 9 screws holding it in place and it’s quite easy to take off the cover. Speaking of which, it has two big grills for heat management, so if you are planning on getting the most of the hardware during long hours of use, an external cooling pad might be a good idea. The sides of the casing are flat with little curves ending at the front. The left side contains the DC adapter for charging, HDMI and one USB 2.0 along with the 3.5 mm jack for headsets. On the right side are located the two USB 3.0 ports and SD card reader slot. The thin and curved profile really adds some charm and style to the notebook. At the front end of the Inspiron 7548 just under the touchpad is the status white LED light and turns orange when you need to charge it. It’s designed pretty niftily and elegant too. The interior also features the same anodized aluminum in much darker gray making a big contrast to the exterior. We did like it, though. However, the chassis’ design isn’t full of superlatives and there is one thing we didn’t like at all – the size of the keyboard. 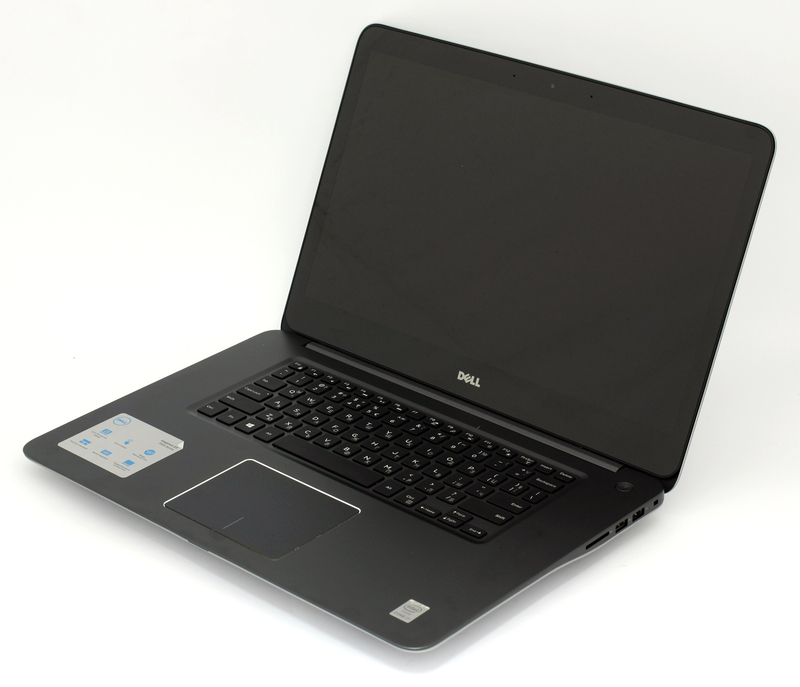 Practically, Dell used the same keyboard we find in the XPS 13, but we are talking about a 15-inch laptop here. We can understand removing the num pad, but at least they could have designed the keys bigger. There’s also a lot of space between the front of the chassis and the keyboard, but this we liked a lot, since there is a good support for the palms when typing. It seems like Dell was aiming for a more unconventional ergonomic design, but somehow overdid it at some point. Nevertheless, the keys feel nice with long tactile feedback offering great comfort when typing and the LED backlight is well-designed with transparent symbols on the keys for more comfortable viewing. The touchpad is also as solid as the keyboard. We didn’t feel any wobbling, but we did notice something out of the ordinary. The right side of the touchpad was a bit elevated than the right one. Judging by the sleek design, Dell has something in mind here. Maybe this way a normal user is more prone to clicking the left mouse button instead of the right one, so if you are looking for a right click, you have to really press the right side of the touchpad. The overall design is great with stylish curves, thin profile and premium feel of the aluminum chassis. In spite of that, we couldn’t get over the fact that Dell’s designers left a lot of unused space in the interior. 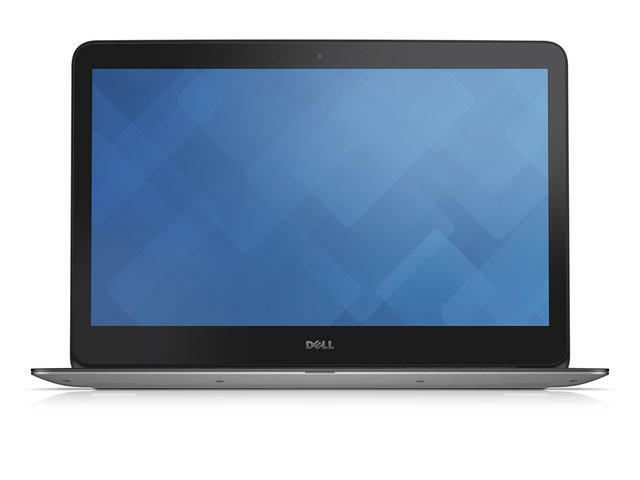 Dell Inspiron 7548 uses an UHD IPS LCD touch capacitive panel with a resolution of 3840 x 2160 pixels. 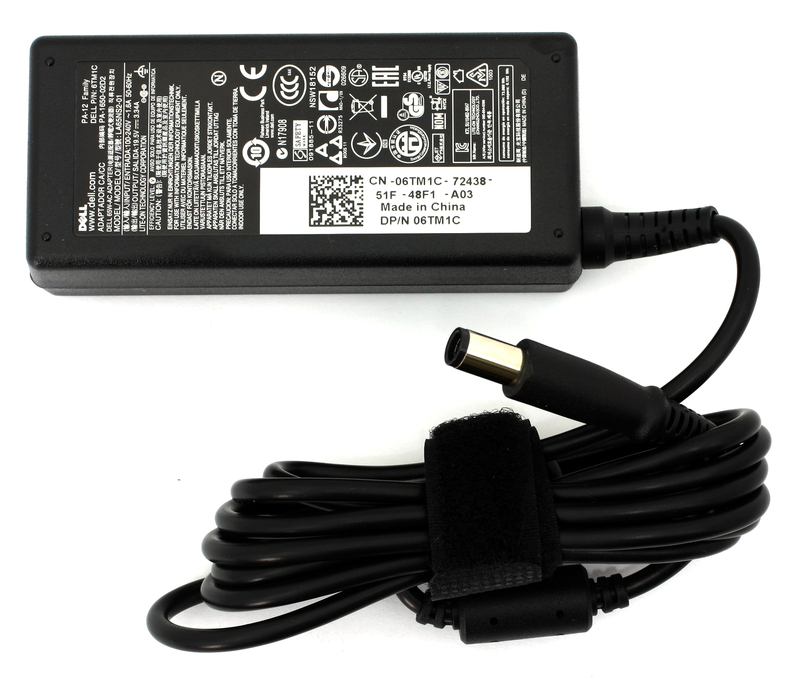 The manufacturer is Samsung with model number 2038W_156FL and contrast listed as 400:1. Also the refresh rate is 60Hz which is a big plus especially for an UHD panel in a laptop. The diagonal is precisely 15.6 inches (39.62 cm.) and 16:9 aspect ratio. The pixel density is 282 PPI and 0.0899 x 0.0899 mm space between each pixel. By looking the display at 30 cm or above, the panel is considered as “Retina”, because the human eye will not see the pixels from that distance. Here is a photo of the screen viewed under a microscope in white background. Viewing angles at 45° are also excellent – typical for an IPS panel. Before we move to the calibration, we measured the maximum brightness of the panel, which is 279 cd/m2. The biggest deviation from the surface of the screen is 19% and it’s located at the bottom right corner. We can consider this drawback as neglectable. The color temperature at this state is 6360K – a bit warmer, but really close to the optimal one (6500K). Inspiron’s 7548 display covers 93% of the RGB and 73% of the Adobe RGB color gamuts. Only a few colors are missing from the sRGB or WEB-based. The gamma is almost identical to the optimal one (2.20) which will guarantee good brightness distribution throughout all colors. We calibrated the panel to reproduce 6500K color temperature and the deviation of DeltaE (1976) is 1.98. We’ve recorded PWM (pulse-width modulation) only at 23% screen brightness or below. Otherwise, Inspiron 7548’s screen is harmless to human vision. The display of the notebook has some really great properties since Dell used a quality IPS LCD panel. It has excellent viewing angles, detailed resolution and accurate color reproduction. It is touch capacitive and there is no PWM over 23% screen brightness level. Also, the panel has an average brightness deviation of 19% which on the verge of what’s considered to be normal. 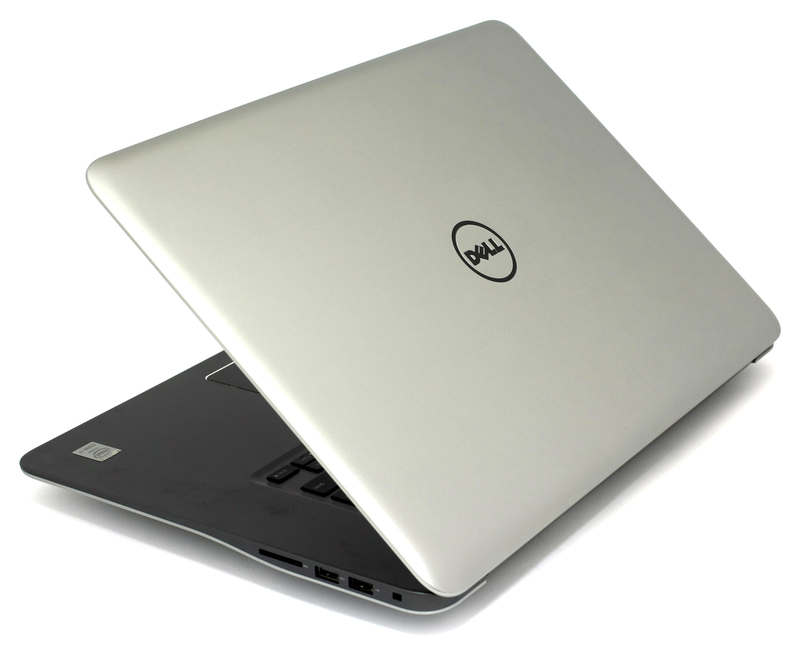 Dell’s Inspiron 7548 sound system reproduces abnormally high-quality sound for a notebook. The sound even resembles the properties of an external sound system. The sound is intermittent, but still offers a big range of frequencies – +/- 6 dB. The lowest point is around 160Hz at -6 dB. The current spec sheet is for this particular model and configurations may differ depending on your region. If you are planning on installing other OS besides the pre-installed Windows 8.1, you might want to reconsider. The problem is that Dell didn’t provide any drivers for the chipset, audio, Wi-Fi and etc. Also, we noticed some problems with the scaling of applications and games. Interfaces and text appeared too small for a comfortable viewing and reading. 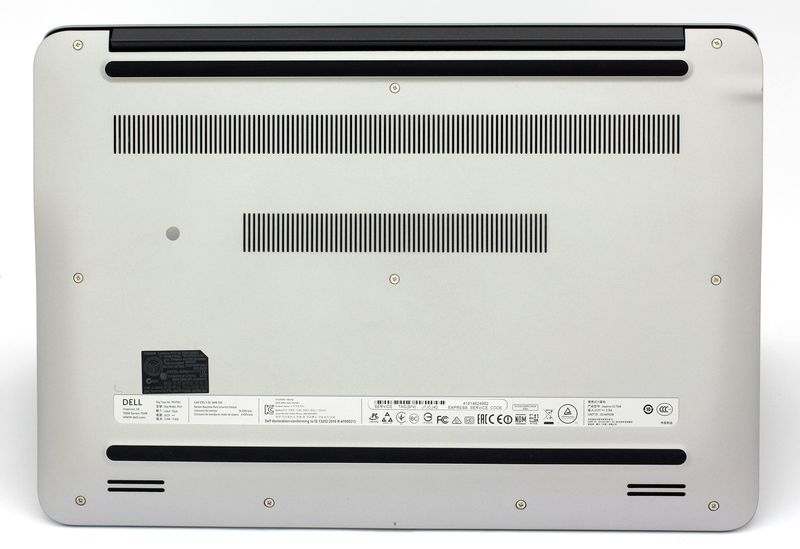 The battery is manufactured by Panasonic Energy with a serial number of YU12013-14003 and it has a capacity of 56Wh or it roughly relates to 7600mAh. This may seem a lot, but don’t forget the fact that the Inspiron 7548 has a relatively powerful discrete GPU and a power-hungry display with UHD resolution, not to mention the touch capacitive panel. To see how the battery handles this demanding hardware, we ran the usual test for web browsing, watching a movie and gaming. All test share the same conditions – Wi-Fi turned on, Bluetooth is off, power saver is also turned on and screen brightness is set to 120 cd/m2. Quite unsatisfiyng result – only 260 minutes (4 hours 20 minutes). The result here is identical to the browsing test – 260 minutes (4 hours 20 minutes). The time here is much lower as this test is the most demanding one – only 160 minutes (2 hours and 40 minutes), but somehow higher than estimated. As you can see, the Inspiron 7548 drags behind a lot of competitors in terms of battery performance. We expected such results mostly due to the UHD screen, so if battery life is an important factor for you, reconsider the FHD version since we can expect better performance there. Fritz is a chess benchmark which tests the computing capabilities of the CPU with various chess moves. The Intel Core i5-5200U managed to get 5.850 million moves per second. For comparison, one of the most powerful PCs, Deep(er) Blue, was able to squeeze out 200 million moves per second. In 1997 Deep(er) Blue even beat the famous Garry Kasparov with 3.5 to 2.5. AMD Radeon R7 M265 is a discrete graphics card used in mobile PCs. Its capabilities aren’t suitable for gaming, but for multimedia tasks and applications. It features a 4GB of dedicated memory (DDR3 SDRAM), 128-bit bus width and memory clock at 1800MHz or 2000MHz if needed. Shaders count at 384 units with 1040 million transistors in the GPU, speaking of which, it’s manufactured with 28nm process. The GPU is clocked at 825MHz with a boost capabilities of 900MHz. Also, the GPU is part of the GCN architecture. Due to its size and power consumption, the Radeon R7 M265 is suitable for notebooks over 13″ screen size. Most notable features are PowerTune, Power Gating, ZeroCore, Enduro, and etc. It also supports encoding for MPEG-4 AVC/H.264, VC-1, MPEG-2, and Flash directly by the AMD GPU, Multi-View Codec (MVC) and MPEG-4 part 2 (DivX, xVid) HD. To check the stability of the system we use a set of tools to see how the chassis and the hardware handles great load and high temperatures. We’ve run the CPU stress at 100% for about an hour. Results show that the CPU operates at 37°C at normal state. The heat can go up to 71°C which is far from the maximum operating temperature of 105°C, so no worries there. Furthermore, the CPU managed to stay at 3.0GHz for one active core, but switching on the other one turned the clock down to 2.7GHz. 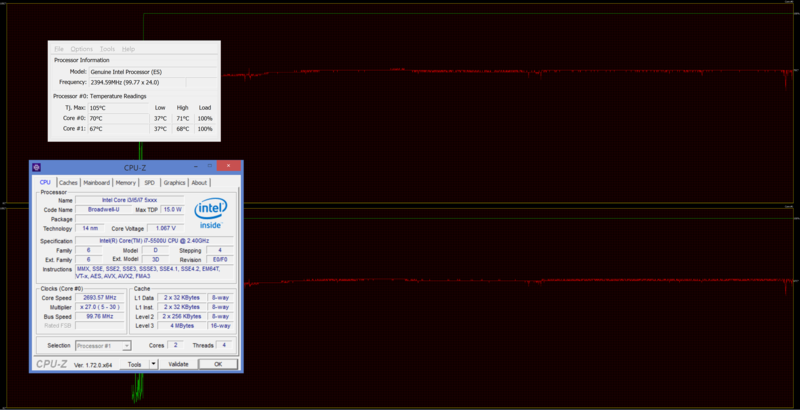 In comparison, Intel lists this CPU with 2.9GHz maximum frequency with two active cores, so we’ve recorded a small throttling of around 200MHz. It’s important to mention that the CPU has a base clock of 2.4GHz. The red line in the image below represents the temperature, while the green one is for the CPU load. After an hour, we’ve started the stress test for the GPU to check if the cooling system is well-designed and how it will manage the extra heat. We expect some good heat management, since the CPU and the GPU have their own fans, they are well-placed apart and they most probably won’t share the heat. Turning the GPU added a few digits to the CPU temperature – 78-81°C, but the deviation is neglectable, since the temperature is far from the danger zone of 100-105°C. We were also pleased with the CPU clock frequency as it remained solid at 2.7GHz. AS for the GPU, it had a minimum temperature of 62°C and a maximum of 72°C. The image below represents the areas, wich had been affected by the heat inside the chassis. The top side of the interior and keyboard got really hot – °C, but the area where palms rest remained cool throughout the whole test. Some of you may consider the center of the keyboard also a bit hot, but we can’t see it affecting the user experience. Also, keep in mind that if both fans (the CPU and the GPU) spin at the same time they sound relatively loud. 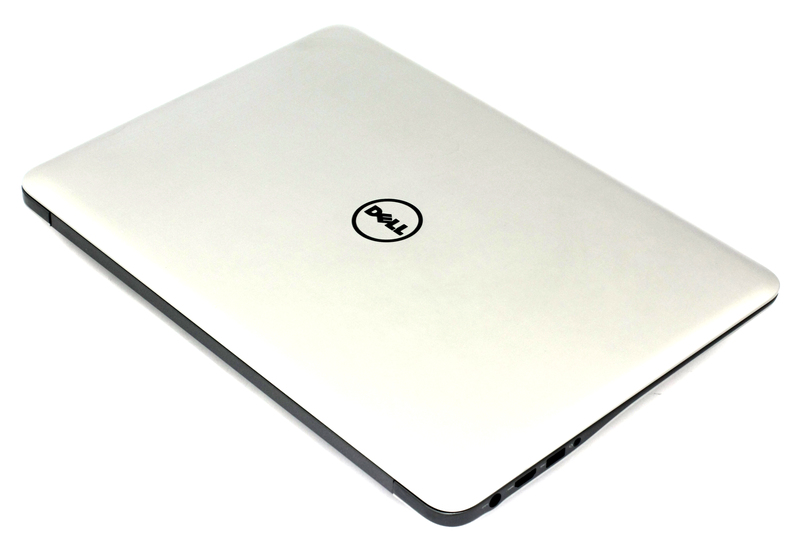 Dell Inspiron 7548 is a great multimedia notebook with a thin, sleek and premium design. Maybe a bit on the heavier side, but quite manageable. 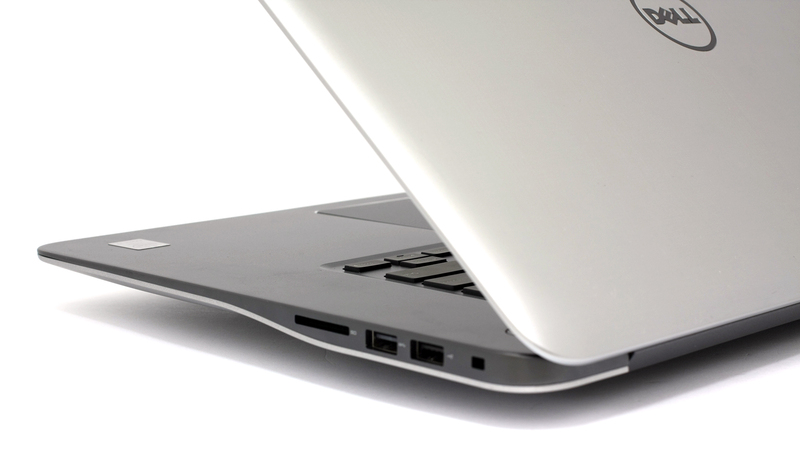 The laptop is designed to look great, but it does struggle a bit to keep the internals cool. This may be because of the sufficient grills for dispersing the heat, which are located only at the bottom. Nevertheless, this can be fixed easily with an external cooling pad. But it’s quite unlikely that a normal user would be capable of reproducing such big CPU and GPU loads in real-life conditions, so we can’t say this is a considerable drawback. 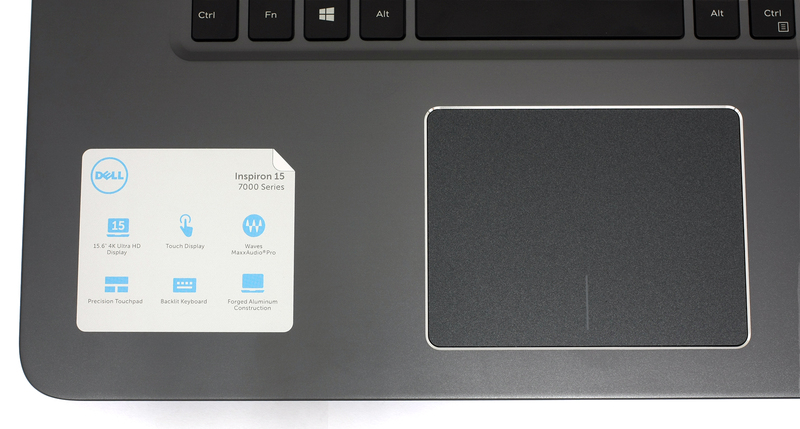 Since it’s a multimedia machine, the Inspiron 7548 features a great UHD screen with excellent properties like good pixel density, multi-touch capacitive panel, covers big percentage of the color gamut, it’s harmless to the eyes (over 23% brightness level), and has nearly perfect color reproduction. To be honest, we didn’t expect such good results from a UHD panel on a laptop. However, the extra pixels do drain the battery really fast as you can see from our battery test results. Another considerable flaw is the size of the keyboard – it is too small for a 15-inch notebook, but at least the touchpad and the key design is nearly perfect. So, to sum things up, if you are searching for an elegant multimedia notebook, but the price tag isn’t a problem for you – the new Inspiron 7548 is the notebook for you. Maybe that’s the price you have to pay for a good UHD screen which is rarely seen on a laptop. Hi- I am receiving this laptop for work this week. To extend the battery life, is there a setting to use a lower resolution, or do you just need to dim the display? Just wondering what my best options are to maximize the battery… Thanks! I have a question: if you turn the resolution down to FHD-level (1920×1080) and/or disable the touchscreen input through device manager, can the battery life be increased? Thank you. I received this laptop as a replacement to my Dell Inspiron 15 7537 series. I got the maxed out 4K touch model, however gaming performance is not only worse than the i7-4500u + GT750M combination, but games like League of Legends have misaligned and large text regardless of running it at 4K or 1080p. Battery is awful as well, 4 hours of this one vs 8 hours on the 7537. Other than the screen, I feel like Dell has downgraded me. It was either this, or keep repairing the 7537 laptop. okay so I’m considering this for college but the small keyboard is such a turn off because I’m gonna be using it for long writing assignments and need 6+ hours of battery. How to turn off Battery light when fully battery on Dell 7548 ? Who Know Please tell me…. Hi i am a college student, and i need a good display laptop which will not hurt my eyes and want a 15.6” inch laptop. So is this the best 15.6” inch laptop in terms of battery,display, and performance? Thanks in advance for your help,really appreciate it. can i charge this laptop with a power bank, if yes how? 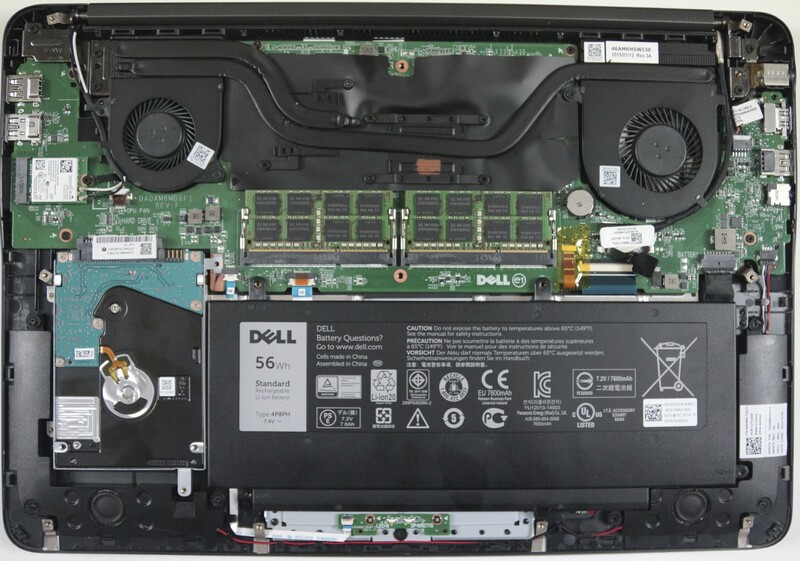 hi I am a drafting student and got this dell inspiron 15 7548. my question is that this laptop design to use the programs I need? This is such a good review of the laptop… i have been using this laptop for like an year nw… it is a pretty good laptop.. i wud recommnd this to ppl..
hi im just gonna ask. can you play dota 2 in this loptop?